Open source video conferencing software can save money of small and medium businesses and let them manage their employees and work remotely & efficiently. If you have some business with multiple branches then the web videos conferencing software can connect all your core employees in a meeting to understand the business plans and strategies. 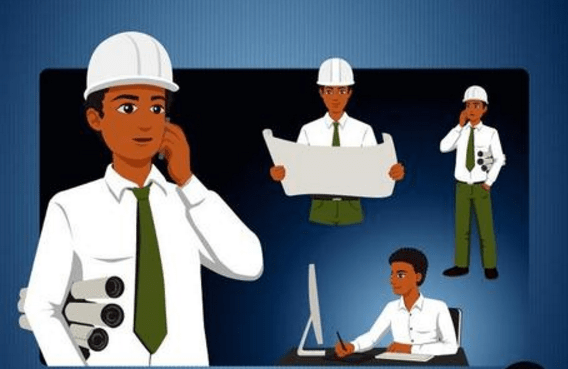 Not only the businesses but anyone who wants to communicate with someone residing in some other locations can easily communication each other visually via video conferencing software. At its simplest form, the video conferencing can transmit the static images and text between two people living in a different location, however, if you talk about the modern complex video conferencing system it can transmit a full-motion video image and high-quality audio between multiple locations. Video conferencing software or web conferencing software can be used for Online Meetings, Video Webinar, Telecommuting, Online Education, Technical Support, and Telemedicine with help of chat rooms, file sharing and video + audio streaming like features. To save the huge cost of Video conferencing systems, if your requirement is not very big; you can use free and open source video conferencing software for meetings and to host virtual training events or assist someone. Here is a list of top free and open source web conferencing software available out there. It is also a great video conferencing software too because of its team hard work that developed this software on the open source code of the BigBlueButton. Mconf-Live is their web conferencing system which is a customized edition of the BigBlueButton. Not only they have enhanced the BigBlueButton web conferencing system but also added video dock, the layouts module, the global audio, the guest feature, and several others. Beside the Mconf-Live they also provide the Mconf-web and Mconf-mobile client. Mconf-Web is the web-based open source conference application that developed on Ruby on Rails to provide a GUI user interface between user and Mconf. 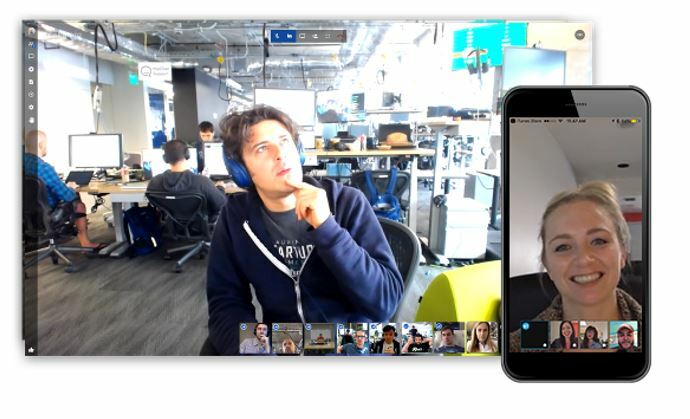 It provides every user a separated web conference room where they can interact in their own space, shared groups where people with the same interests can interact synchronously and asynchronously. Mconf’s mobile client right now is available for both Android & iOS which developed on the Adobe Air framework. However, the application is still in beta stage and users can download and test it out from their respective store. Although it developed using the BigBlueButton, this application is better than that. If you talking about the best available open source video conferencing software you can miss the Apache Open meetings. The open source Apache foundation has a wide range of the project and one of them is OpenMeetings. It provides video conferencing along with other features and groupware tools such as instant messaging, Whiteboard and collaborative document editing. For streaming, it uses API of another open source software which a Red5 Streaming Server for Remoting and Streaming. OpenMeetings audio and video conferencing feature give four modes of usage: audio + video, audio only, video only and picture only. 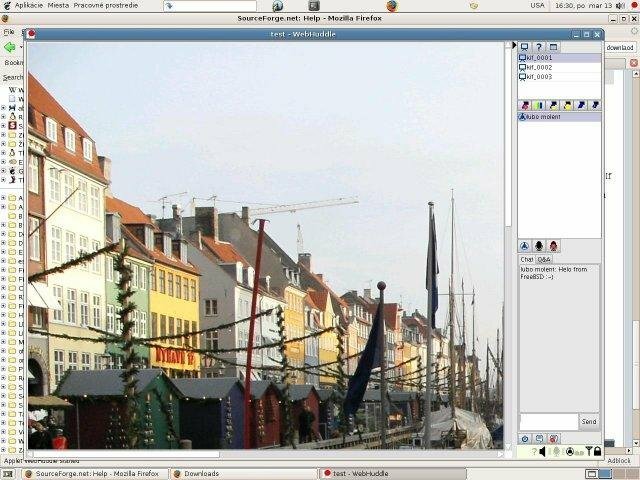 The user can use multiple resolutions of the camera such as 4:3, 16:9 or 3:2. The recording of the conferencing session is also possible including the audio. After recording the session can be downloaded in the form of AVI/FLV files. 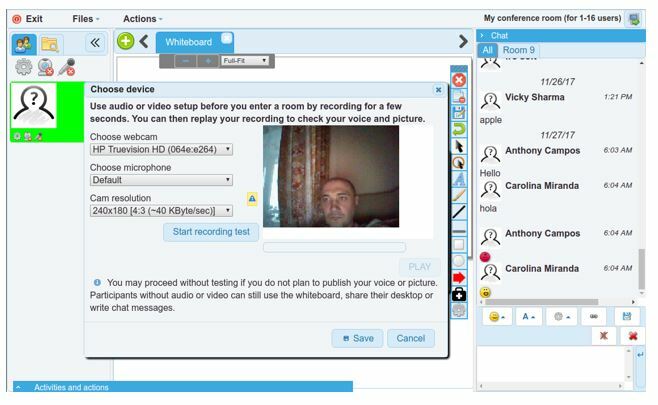 BigBlueButton is another great open source web conferencing system meant for teachers, students, and schools in mind. But you can use it for your staff meetings and other business purposes too. 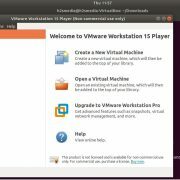 It is also a self-hosted program. It allows a user to share audio, slides, chat, video, and desktop with others. Just like the OpenMeetings you can create a poll and even record the conferencing. The whiteboard tool in BigBlueButton has the ability to zoom, highlight, draw and write on presentations. You can share as many as webcams during a session just make sure you have enough bandwidth for that. BigBlueButton is built on Learning Management Systems to meet WCAG 2.0 accessibility standards. It allows the integration of Atutor, Canvas, Chamilo, Drupal, Docebo, Fedena, Fedena, Fedena, LTI, Moodle, RedMine, Sakai, Schoology, Tiki Wiki CMS, and WordPress. The Hubl.in is also a free and open source video conference solution based on WebRTC and still in beta stage. 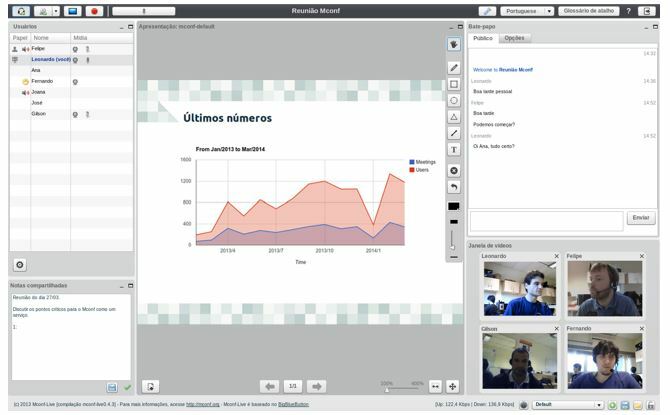 The video conference service of the Hubl.in is provided by Open-PassS which basically an open source social platform. One can download it forms the Github and tried it on their own Linux servers, however, I tried to use their online web-based conferencing system but that didn’t work at that moment. Ekiga is an open source software formerly known as GnomeMetting. It provides SoftPhone, Video Conferencing and Instant Messenger application over the Internet. It supports HD sound quality and video up to DVD size and quality. It uses both the major telephony standards (SIP and H.323). It is a mixture of simple chat application and a professional IP Telephony tool for the GNU/Linux desktop. Ekiga is available for Windows and Linux plus as a source. 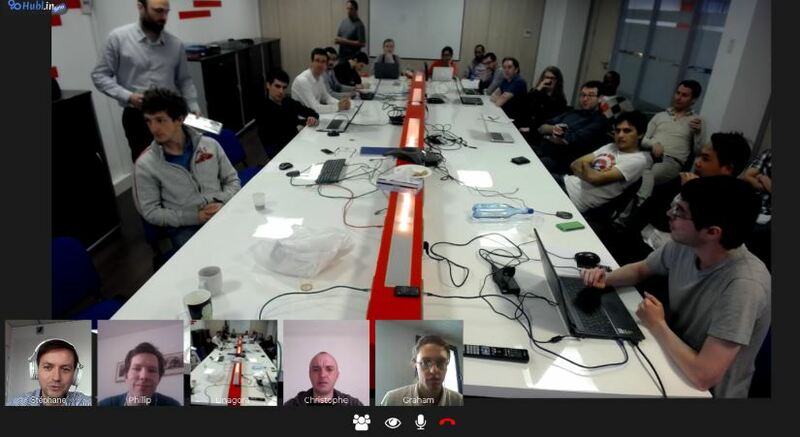 WebHuddle is another open source video conferencing project which is also in beta stage. But the interference looks like not user interactive. The thing is to note that it doesn’t support the audio. 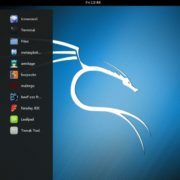 However, you can have a look it is available on SourceForge. 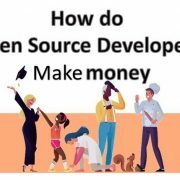 So, these are some well known Open source video conferencing software; if you know some other well projects, please let us know, this will help other peoples because sharing is caring. BTW comment box is all yours! !